The mystery of exactly where Kamen Rider Abyss is from may never be solved – is he a Kamen Rider Ryuki character from an alternate world or an undead character from the world of Kamen Rider Blade – but nevertheless he is a pretty cool figure. 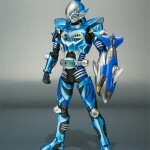 We’ve taken a number of pictures of Kamen Rider Abyss, with his accessories and some accessories from other popular Kamen Rider characters, and they are here for your viewing. Check out the pictures, and a write-up on my feelings of this figure, after the jump! The preview night of Bandai’s Tamashii Features Volume 6 is well under way and already we have some rather interesting reveals on our hands! Our first real reveal of the event is a renewal version of Kamen Rider Kabuto, who is due out in 2014. 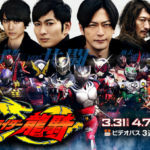 This news comes hot on the heels of the Kamen Rider Black renewal that is due out later this year. 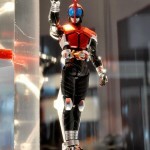 However the new Figuarts body is also on display at the event on a number of Rider stages, with one for every Heisei era Kamen Rider with the exception of Kamen Rider Wizard. While this could easily be a proof of concept display, it’s exciting nonetheless to see the first glimpses of what could become Kamen Rider Hibiki and Kamen Rider Kiva Figuarts! Also included are some effect parts displays, a look at the various prototype stages the figures go through and a further look at the new glowing stage. Multiple new photos added, courtesy of Cybergundam Blog. Keep checking Tokunation.com this weekend for more news from the event! 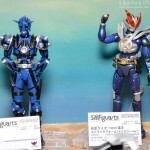 Bluefin Tamashii Nations is in the process of confirming their October merchandise lineup. One of their newest entries is the recently-revealed “Kamen Rider Abyss” from the AR Ryuki World visited/created by Kamen Rider Decade. Abyss will be available for 37.99 USD! Keep up with further Bluefin releases RIGHT HERE! The 14th Ryuki Rider from the AR World created by Kamen Rider Decade is finally being released! 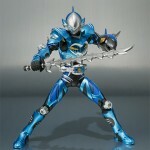 Tamashii Nations is underway & several new products have been unveiled. 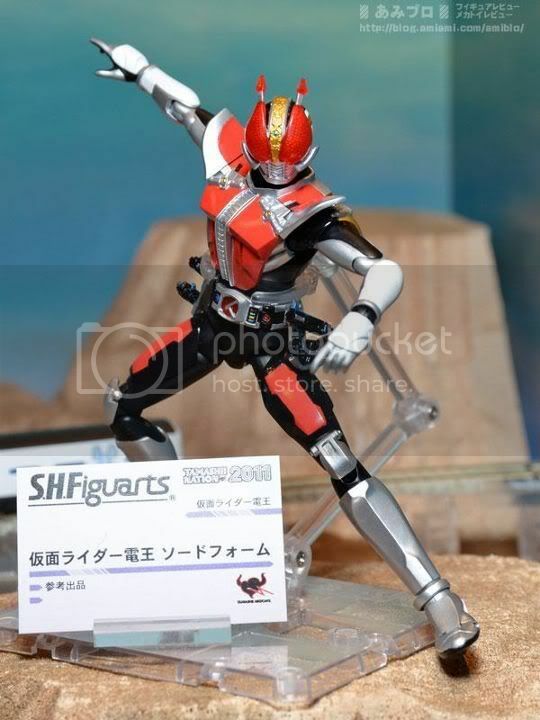 Star of the show once again is Kamen Rider Den-O, who finally makes the jump to SH Figuats! Not to be outdone, NEW Den-O also gets an update in Figuarts- with Neotaros (better known as “Teddy”) joining the party. Ryuki Figuarts keep on track with Zolda (or “Torque” if you prefer) which apparently includes Advent Beast. SEVERAL new(ish) Kamen Rider OOO Figuarts debut in the show, including Proto-Birth, Complete Ankh, King TaToBa & the Dinosaur Greeds. Sadly ALL of these are likely to end up Tamashii Web Exclusives. The event is ongoing so stay tuned to front page for more updates and information!! !